connections for use in conjunction with RESPONDALIGHT LED lamps. Drivers are available for non-dimming and dimming applications including trailing and leading edge solutions as well as 1-10 Volts systems. 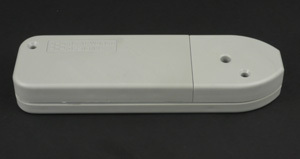 Wall mounted single and dual gang trailing edge dimmers are also available to complete the system. Real World Designs has extensive experience in LED driver design. Ask our technical team for advice on dimming solutions and drivers.